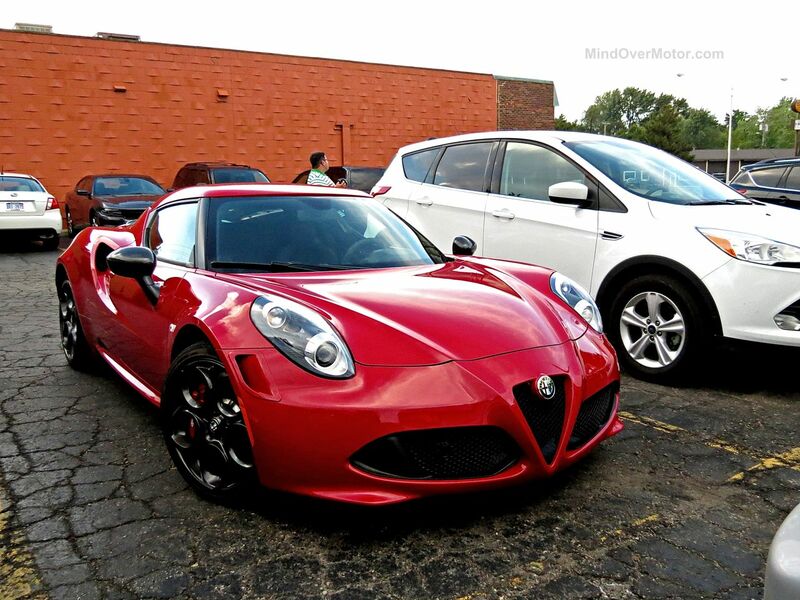 We went out to eat right on Woodward Ave at Duggan’s Irish Pub, and this brand new Alfa Romeo 4C pulled in. 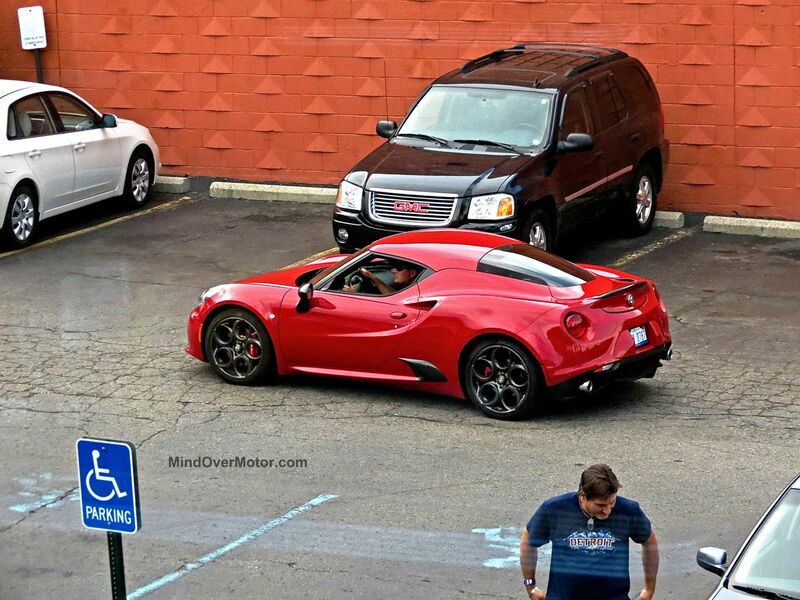 This is the first 4C I’ve seen out in the wild, but it was unsurprising in Birmingham, MI with an Alfa dealer right up the street. 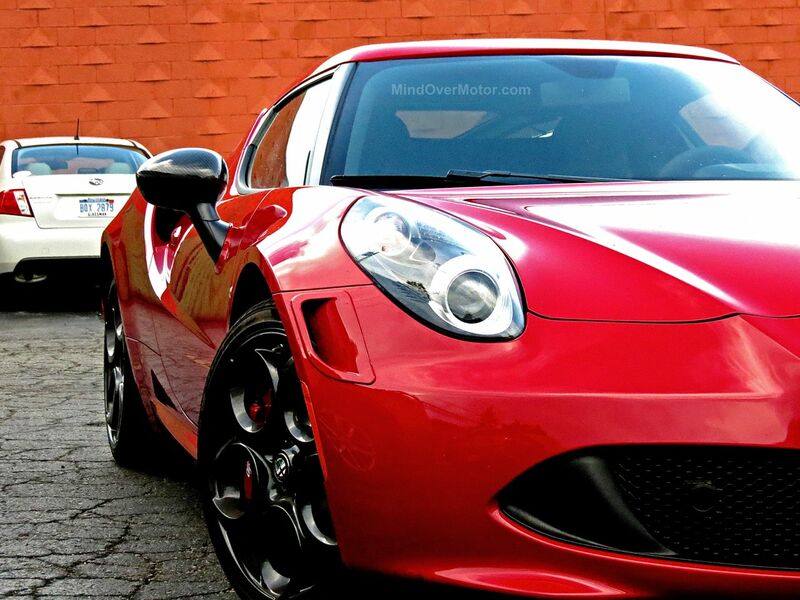 The Alfa Romeo 4C is basically a miniature Italian exotic, with a mid-mounted turbocharged 1.7L four cylinder engine on tap. That may not sound impressive, but 237hp grants plenty of performance in a car that weighs just 2400lbs. It’s also quite fuel efficient for a high performance car, capable of an EPA-rated 34 MPG on the highway. 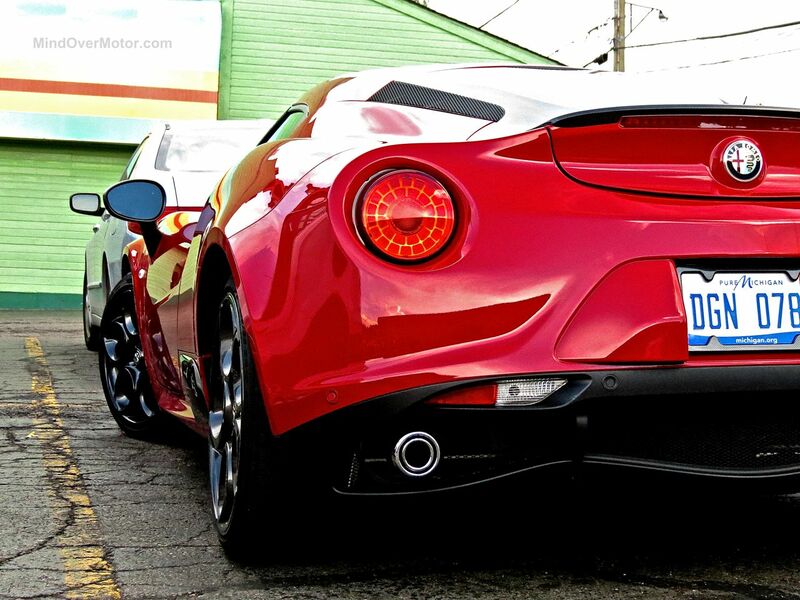 The 4C’s one big drawback is that it only comes with a dual-clutch paddle shift gearbox. For me, not having a manual takes a lot away from the experience of a lightweight sports car, and it could be a deal-breaker if I’m ever in the market. That said, I have hear the dual-clutch trans works pretty well, so it’s at least worth a test drive. 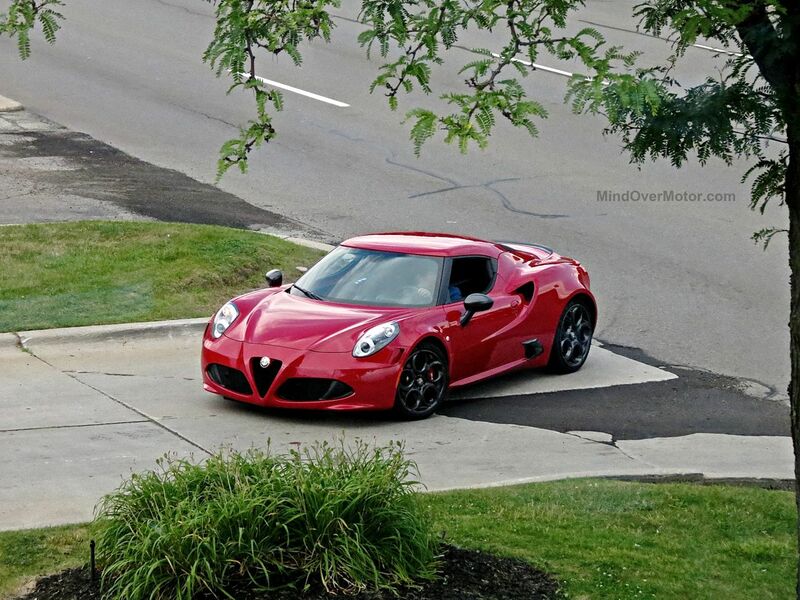 Although it isn’t perfect, we should all be very glad the Alfa Romeo 4C exists. It is the car that is bringing the Alfa name back to the US, soon to be followed by the new RWD Giulia sedan. The 4C is quite a pleasant sight in person, too, with a lot of design inspiration coming from the legendary Alfa Tipo 33 Stradale. Previous Post1960 Armstrong-Siddeley Star Sapphire Saloon at the 2015 Elegance at HersheyNext PostJason Cammisa, a Porsche Cayman GT4, and Pobst. It’s time to watch. Were you there for the Dream Cruise a couple weekends ago? I saw a couple 4C Spiders. EXCELLENT. Nah we were actually there a week or two before the Dream Cruise for the Concours of America. I was at the Dream Cruise in 2012 though, amazing sight.